Update at 18 March 2014 - You can now download the newly released 2014 - 208 National Integrated HRD Plan, or fetch it from the folder below, which includes the 18 Task Team Research Papers that were made public at the Summit. 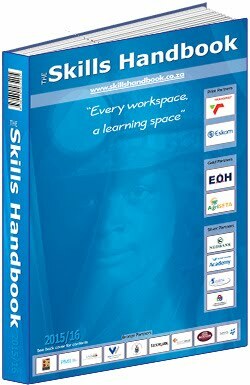 The Human Resource Development Council (HRDC) was established in March 2010 to co-ordinate the work of building South Africa's human capital across the wide range of stakeholders involved. Modeled on the successful, but temporary JIPSA initiative, the HRD Council signals the awareness by both state and non-government actors that HRD is an apex level priority that deserves collaboration between presidential, CEO and labour union leaders. Next week will witness a significant milestone in the work of the Council, with the launch of its National Integrated Human Resource Development Plan at Gallagher's Estate in Midrand, Gauteng. The launch of the Plan comes just two month's after the launch of the White Paper on Post School Education & Training, from the Department of Higher Education & Training, which is the lead government department on the Council. Together these two developments signal a sharpening focus around the country's grasp of its education and training challenges, and the solutions it is adopting to meet them. Please join us at the event if you can, otherwise check back here on Monday and Tuesday this week to get updates to this post. 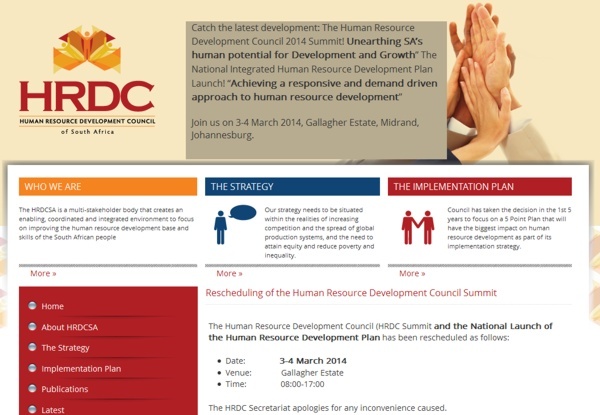 If you are interested in more information on the HRD Council, check out their website: http://www.hrdcsa.org.za. You can view and download the draft HRD Strategy here.